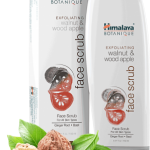 Are you searching for a body care product that is vegan, cruelty-free, and affordable? You need look no further than Schmidt’s! This company has come on strong during the past few years, and its easy to see why. 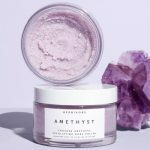 Schmidt’s website, www.schmidts.com, stresses that their offerings are free of aluminum, propylene glycol, SLS, PEG, parabens, phthalates, artificial fragrance, artificial flavor, artificial colorants, and artificial sweeteners. That’s impressive, and worth checking out. 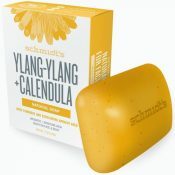 We recently purchased a bar of Schmidt’s Ylang Ylang and Calendula Natural Soap ($5.49). 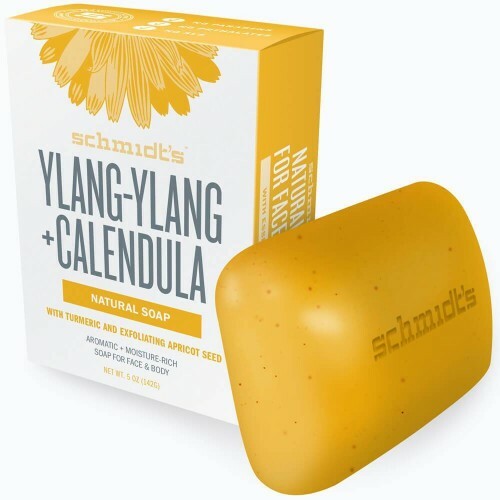 This exfoliating soap is mild but effective, due to the addition of turmeric and exfoliating apricot seed to its ylang ylang/calendula formula. The bar creates a rich, soothing lather while it gently removes impurities from the body. It’s huge and lasts for weeks, even if you use it every day! 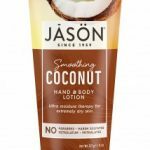 This 5-star customer-rated product smells great and will leave your skin feeling smooth and luxurious. Truly a bargain at such a low price! You want to smell good, but you don’t want to spread toxic chemicals on your body in the process. What to do? Pick up one of Schmidt’s Signature Deodorant Sticks ($8.99). They come in eight varieties, including unscented. The most popular is the Charcoal/Magnesium variety. Though it costs a dollar more than the other kinds, we’re sure it’s worth every cent. The scent is reminiscent of freshly fallen rain. 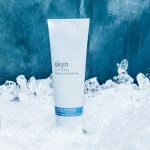 This deodorant is aluminum-free, non-sticky, and easily absorbed. We feel confident you’ll love it as much as we do. Your teeth need cleansing, too! Schmidt’s offers five types of toothpaste ($5.99). Our favorite is the jasmine and spearmint variety. 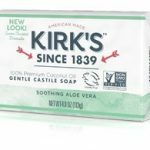 The dynamic combination of CoQ10, goji and pomegranate extracts, organic aloe leaf juice, magnolia bark extract, and vitamin E is great for your hard-working teeth. Schmidt’s describes its product as “exquisitely floral and minty.” You’ll be searching for excuses to brush your teeth, once you try this amazing toothpaste. When you buy products from Schmidt’s, you are supporting a company that really cares about the planet. They encourage recycling by offering a unique incentive. If you purchase one of their deodorants that comes in a jar, wash and save the receptacle. When you’ve acquired five jars, mail them back to Schmidt’s, and they will send you a free deodorant. All of their items are responsibly stewarded, minimizing unnecessary steps that can be bad for the environment. Show yourself, the earth, and the company some love, and order a few of their products today! If you're looking for vegan, cruelty-free products at an affordable price, you'll be delighted by Schmidt's array of products. This company cares about you, the welfare of animals, and the planet as a whole.